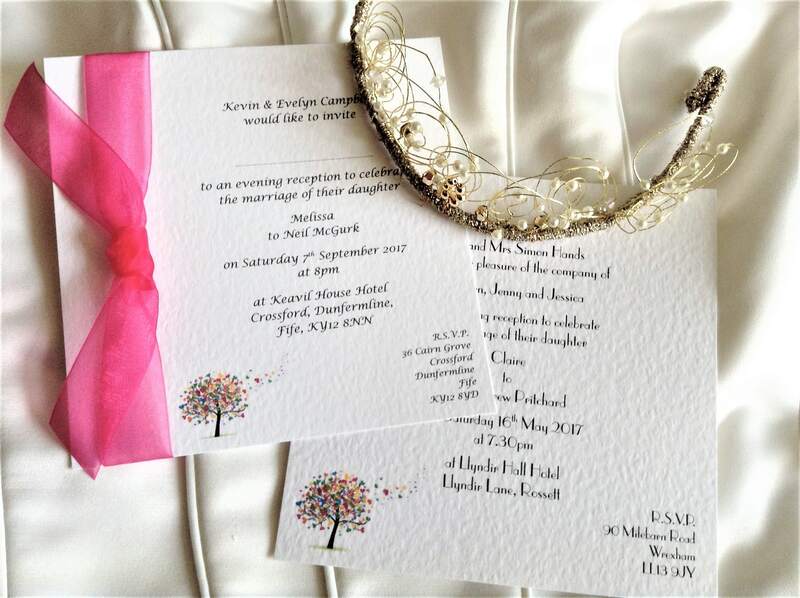 Beautiful personalised Love Tree Square Flat Wedding Invitations are supplied on a thick heavy weight (270 gsm) hammered card and available in white or ivory. 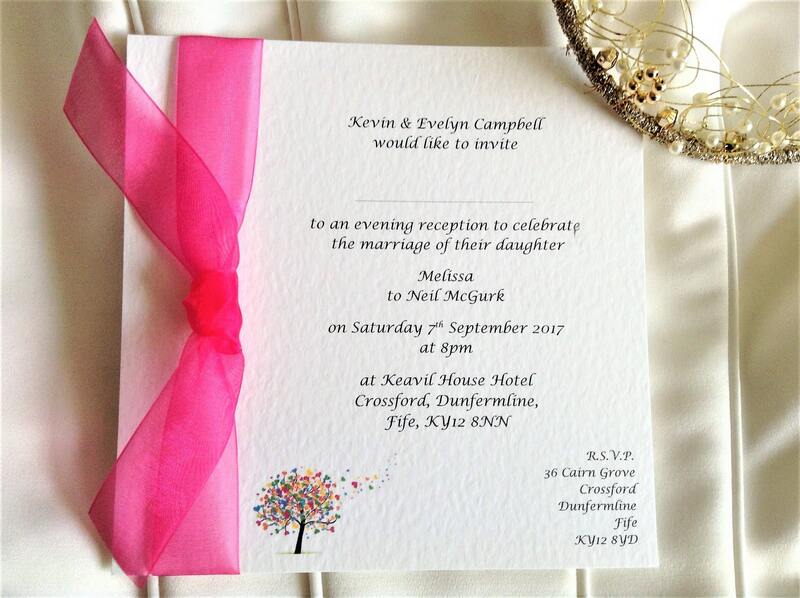 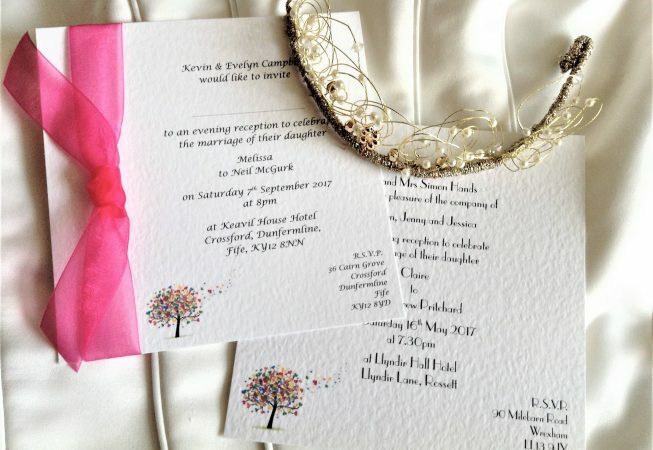 This wedding invitation style is part of our Love Tree Wedding Stationery Range. 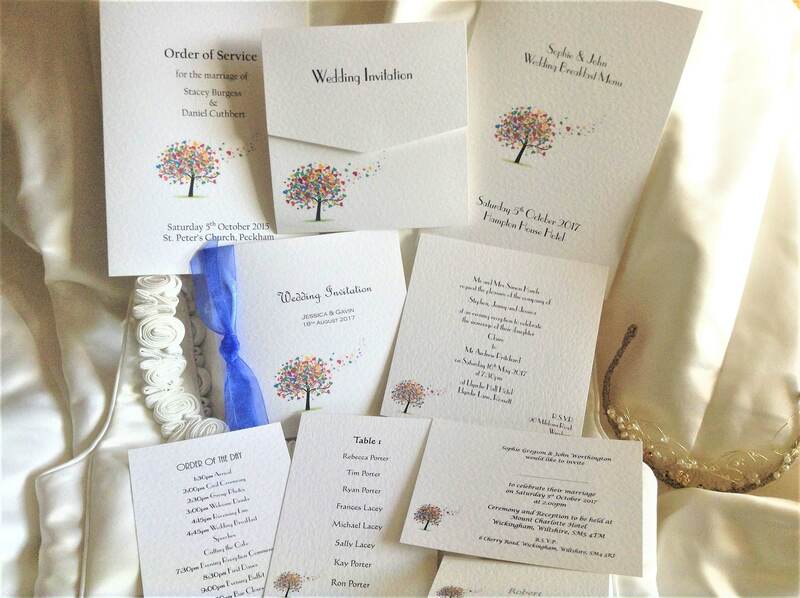 Our attractive Love Tree Wedding Stationery features an old oak tree with multi coloured hearts blowing in the wind. 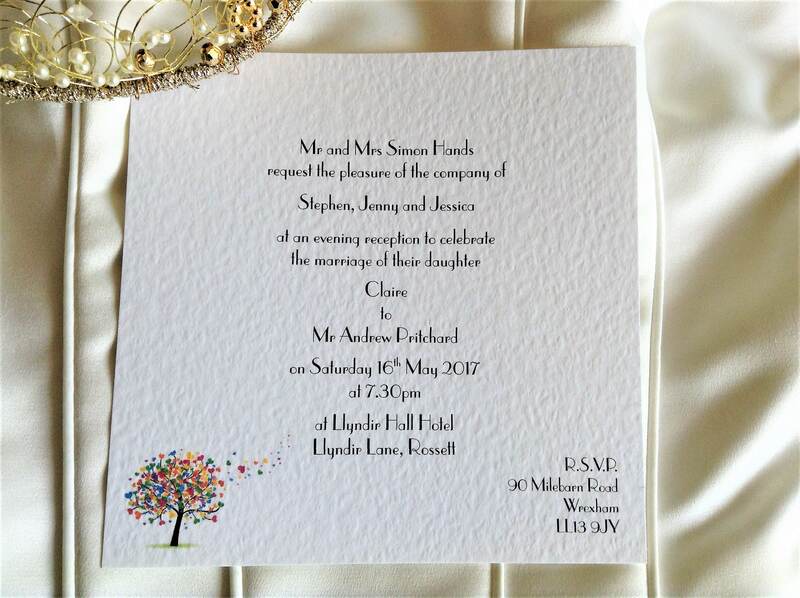 This design can be used for a number of wedding colour schemes and we have ribbons to match every colour featured in the design.